The Intel 8086k Sweepstakes is your chance to win one of 8,086 8th Gen Intel Core i7-8086k Limited Edition processors. Be fast, you will only have 24 hours to enter. To enter the 8086k Giveaway, visit intel.com/8086sweepstakes starting at 5:00 pm PST on June 7, 2018 and register. Up to 2,086 8086k processors are available to be won in United States. Ends: June 8th at 5pm PST. Eligibility: Sweepstakes are only available for residents of the following countries/regions: USA, Canada (excluding Quebec), UK, France, Germany, South Korea, Japan, Mainland China and Taiwan. 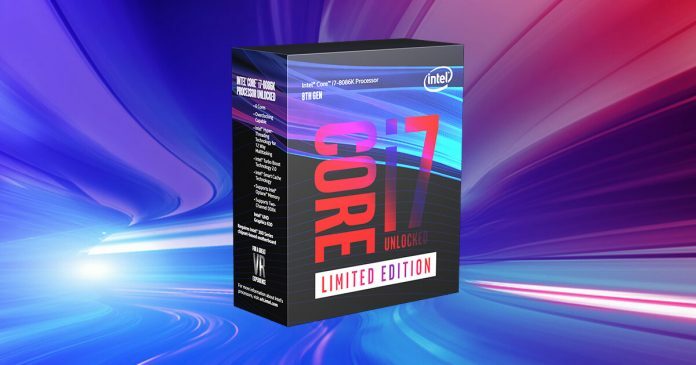 Details: Win a 8th Gen Intel Core i7-8086k Limited Edition processor. For complete details and official rules, visit game.intel.com/8086sweepstakes.